Dining out is an experience that is meant to be satisfying, fun, and an escape from the norm of cooking at home. Choosing a restaurant to eat at, however, is not always an easy task. A potential customer must first decide what type of cuisine he is craving. Of course, his budget will dictate how much money he’s willing to spend on a meal. The distance he is willing to travel becomes a factor. Once he has decided on those factors, his cell phone, otherwise known as a handheld restaurant search guru, becomes his best friend. And even still before ultimately choosing a restaurant, what’s offered on the menu is observed. That’s when the Uber is called. In 2018, it is essential that a restaurant has dishes on its menu that stand out to customers. This is what we’ll refer to as the trending foods. Because, let’s face it, trendy is interesting to most people. While sometimes it’s best to stick to what you know well, menu diversity is key and will attract a wider range of patrons. Give them what they’re looking for! Food trends can be fleeting, or they can become long-term staples. Inclusions or omissions from the menu can make you or break you as a restaurateur. 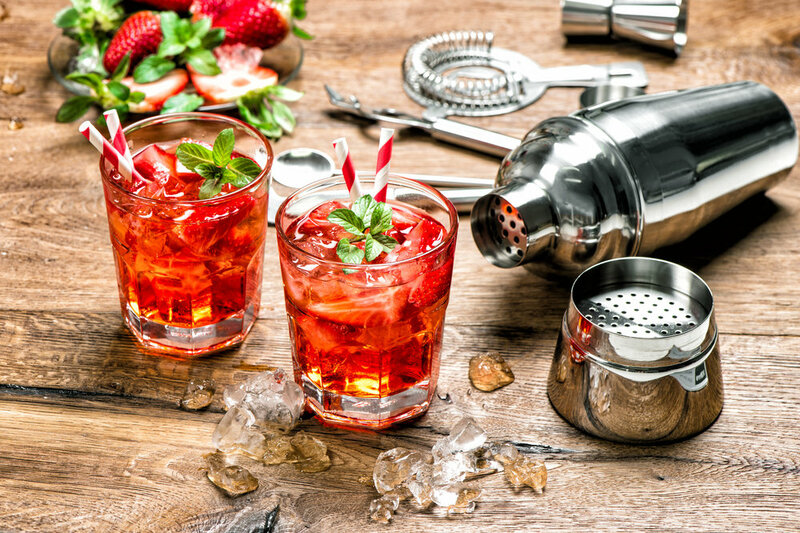 Here are 5 trending food items we think you should seriously consider incorporating into your recipes today. If your restaurant doesn’t have an Instagram account, consider making one. 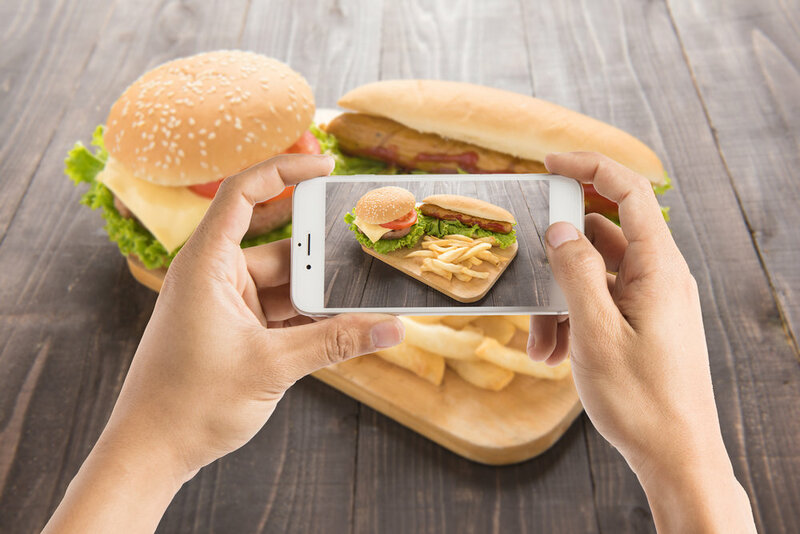 93% of people use online menus to determine where to eat, but many are now also making choices based upon the restaurant’s Instagram pictures, as well as posts from food bloggers and social influencers. If a dish sounds good people will think about getting it. If a dish looks good people will want to eat it. Having items on your menu that are trendy and “instagrammable” are bound to attract crowds. Not to mention, it’s pretty great for advertising. People order your dish, tag your restaurant, and instantaneously their meals have been shared with a whole social network of fellow foodies. Whether it’s a cheesy appetizer, a juicy cut of beef, or a sinfully gooey dessert, a dish that photographs well creates exposure and excitement. Your eatery has become more than a restaurant; it is now a destination. Make sure you’re posting and sharing high-quality photos of your food to entice potential guests. Instagram-worthy foods of the moment are sky-high milkshakes, decadent doughnuts, and cheesy (the positive meaning of the word, that is) items ranging from burgers to pasta to fries. Will your restaurant create the next big trend in food? Like the latest runway fashion trend, avocado is in. It’s healthy, colorful, AND tastes good. Not to mention, it’s high in fiber, good fats, and vitamins and low in sugar. How can you beat that? Avocado is something that should play a part on every restaurant’s menu. Its popularity has significantly risen over the years and continues to trend upwards. 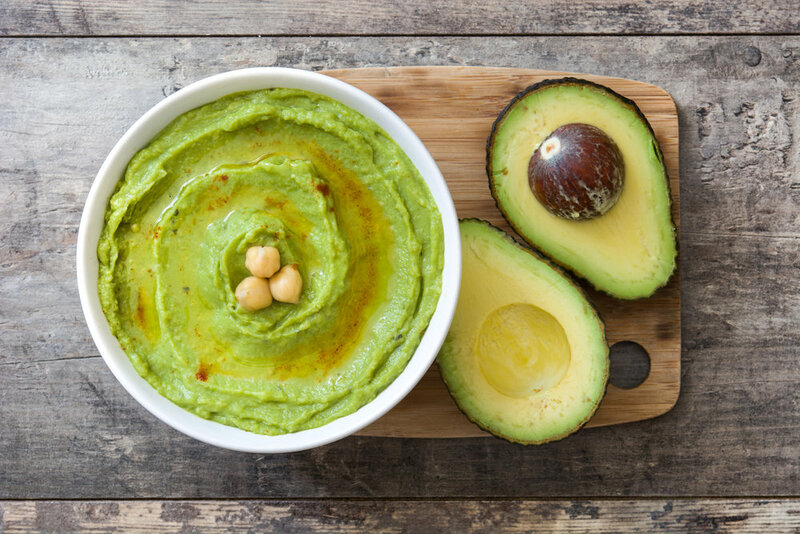 Whether the fruit (yes, it’s a fruit) is incorporated in breakfast, lunch, and/or dinner, on toast or in salads or sandwiches, avocado can be used creatively and deliciously. Including avocado as an ingredient is a great way to attract diners. People trying to be healthy can now enjoy their meal, feel good about it, and return for more. Capitalize on this opportunity. Bacon is an oldie but goodie. Some may even question whether it came first before the egg. They go hand in hand, but that’s not the only combo involving bacon you can offer. Some will argue that bacon makes every dish infinitely better; it has somewhat of a cult-like following. And Americans are eating about 18 lbs of it per year! 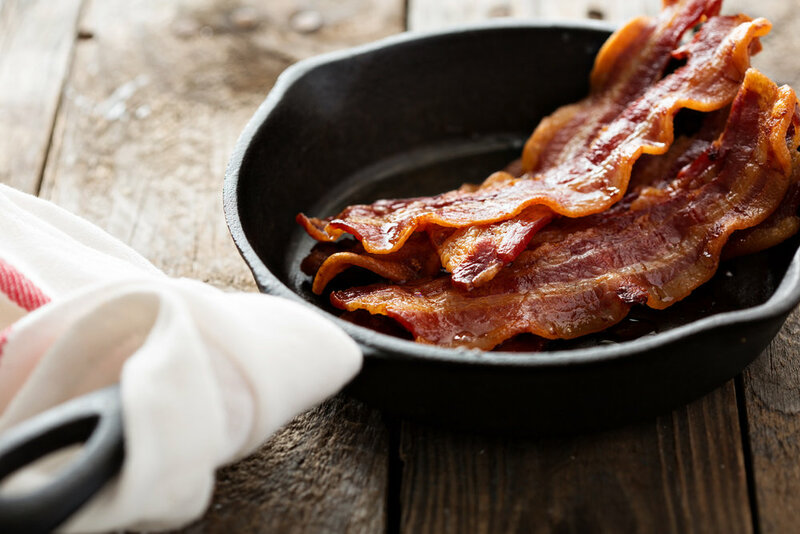 Unlike avocados, bacon is something you know is not the healthiest for your diet, but some believe it is something worth spending extra time on the treadmill for. Adding bacon to some of your less popular dishes will make them a hit. A bacon wrapped filet sounds better than just a steak. Brussels sprouts with bacon bits sound better than plain brussels sprouts (which, by the way, are a current trend you may want to consider as well). Well, you get the point. You can even take the lighter approach and use turkey bacon in your dishes. This is not only healthier but it allows people with certain food restrictions, like Kosher and Halal, to enjoy the meal too. There are even vegetarian and vegan bacon options! The possibilities are endless. Truffles are part of the fungi family, but we’re confident that won’t scare your guests away! Just the word truffle sounds fancy, so people will be inspired to order it. In addition to sounding upscale, it is delicious and has a great aroma. The beauty of truffles is that they can be used in different ways. 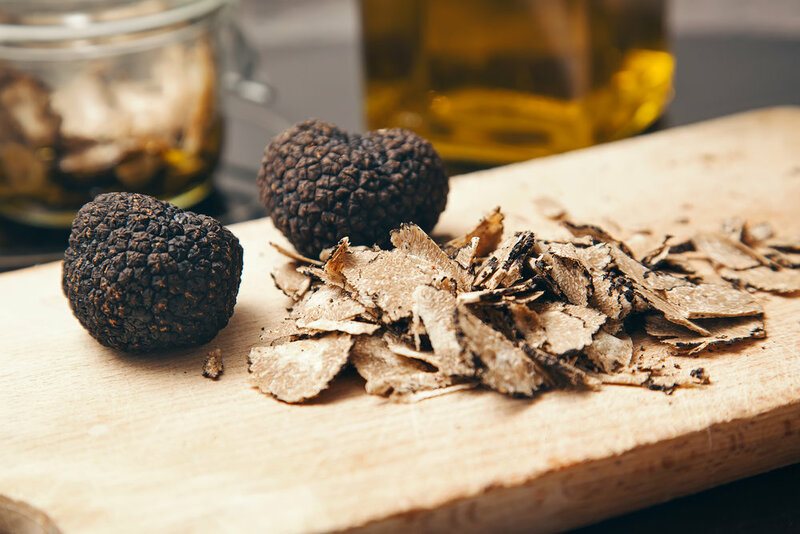 Whether it be black or white truffles shaved onto your pasta, or a truffle oil that is drizzled on top of a pizza, it is something that sets the dish apart. Once your customers experience the taste and the smell of truffles, the uniqueness leaves a lasting impression that they will not soon forget. They’ll want it again and again. Translation – repeat business! Find out here how Michelin star chefs incorporate the exotic ingredient into their dishes. Your restaurant has many features to distinguish itself from the one down the block. You’ve painstakingly tended to the details of the décor, hired the friendliest and most experienced staff, but your menu is your bread and butter. Don’t miss the boat by sticking to the mundane. Sprinkle in a dash of new. Pick a few of the trending food items that people are buzzing about and offer them. Keep track of how popular the dish is & make adjustments accordingly. Do people love avocado-infused dishes? Offer more! The great thing about food is that it offers a chance to experiment, so take advantage of this to make some amazing (and tasty) art.